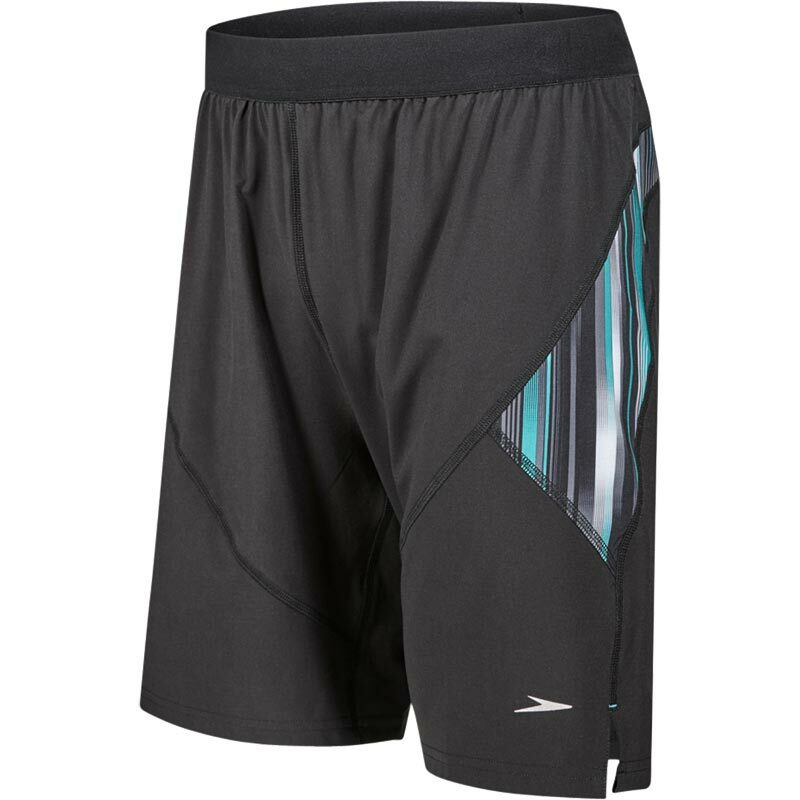 Printed with subtle yet stylish side design, these Speedo Glide Hybrid 18" Watershorts have everything you need for regular swimming or hitting the beach. From their drawstring waist, for a secure and comfortable fit, to their quick-drying properties and water-repellent fabric to their clever pocket drainage system, they'll stay lightweight, even when wet. Comfortable, versatile and with secure zip pockets, these swim shorts are full of useful features. Internal Jammer for improved comfort and support. Xpress dry; Water repellent outer short stays dry to the touch. Environmentally friendly fabric made from recycled plastic bottles. Zip pocket with lockdown zipper for secure but easy access to belongings.